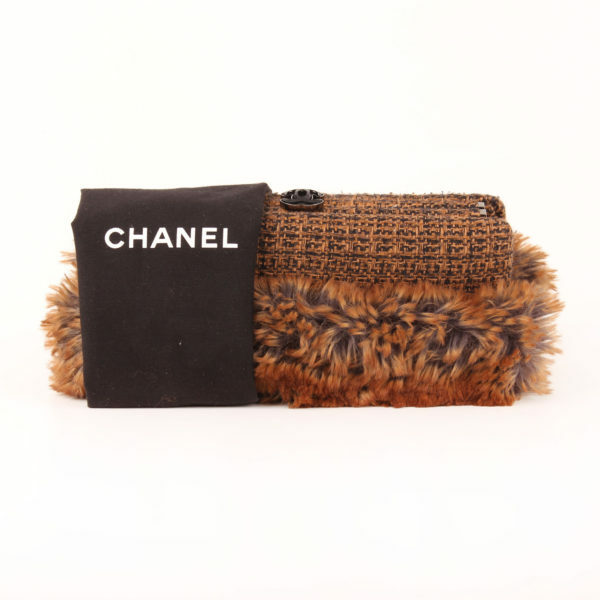 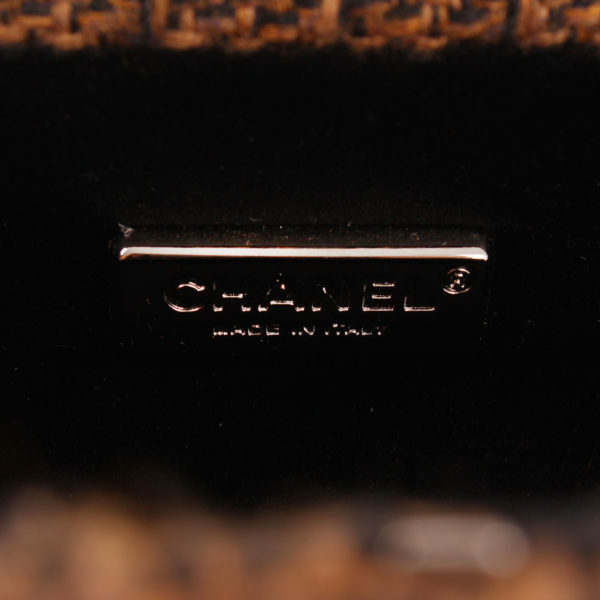 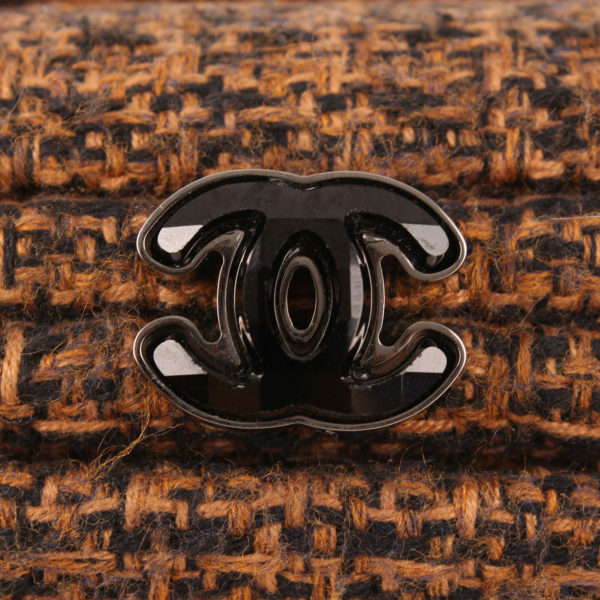 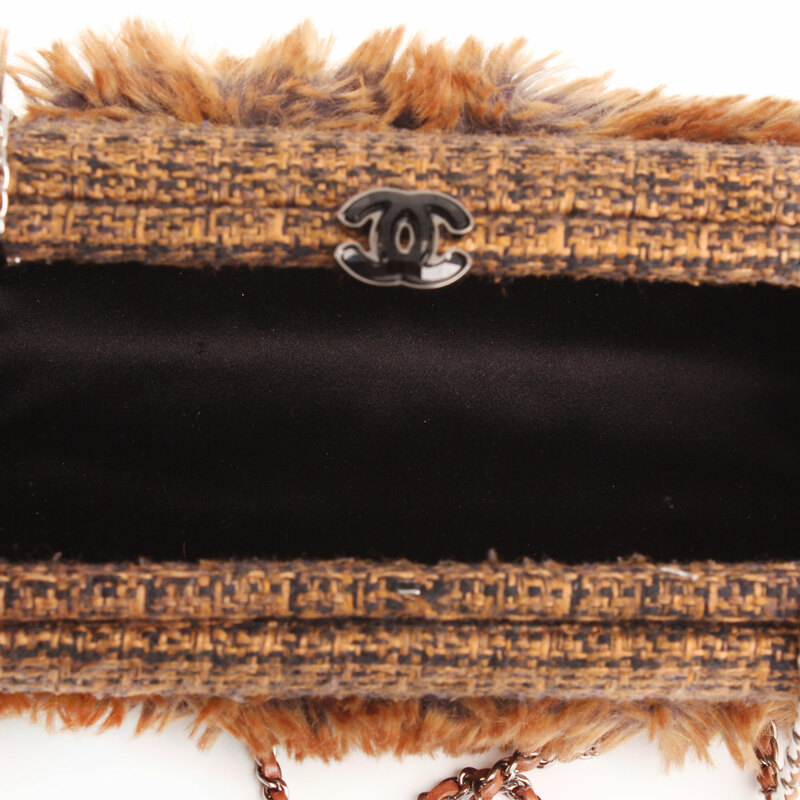 Chanel Furry Tweed Wallet. 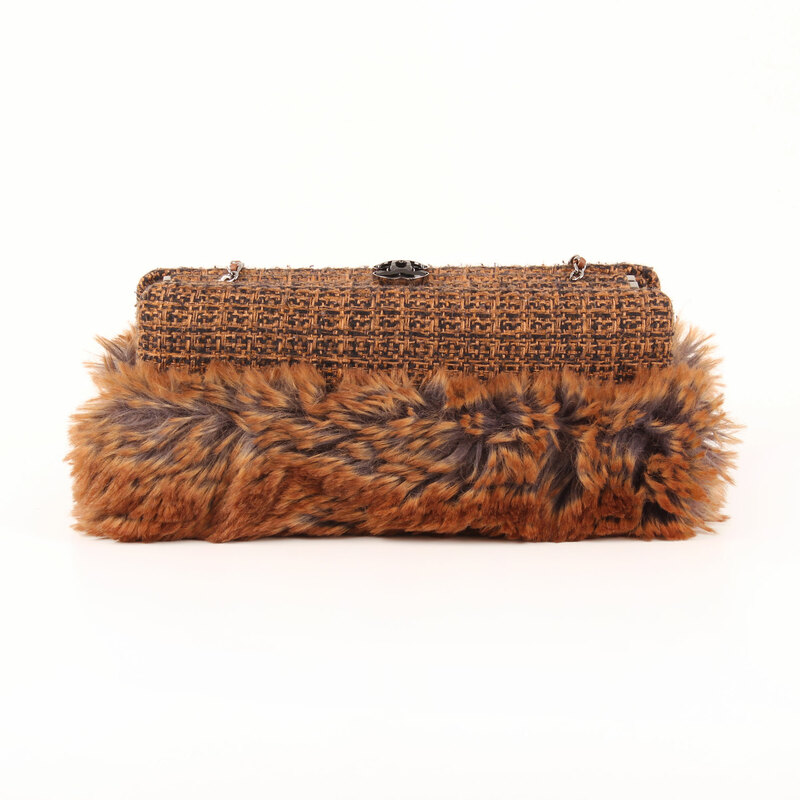 A really different model, bold and full of personality. 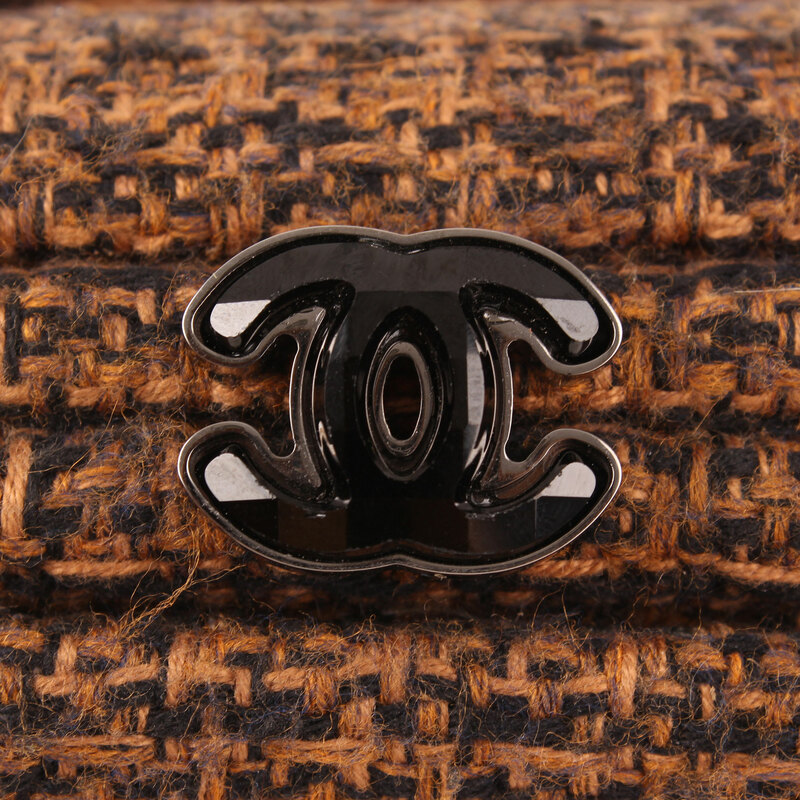 This Chanel bag is really different, chic and has a lot of personality. 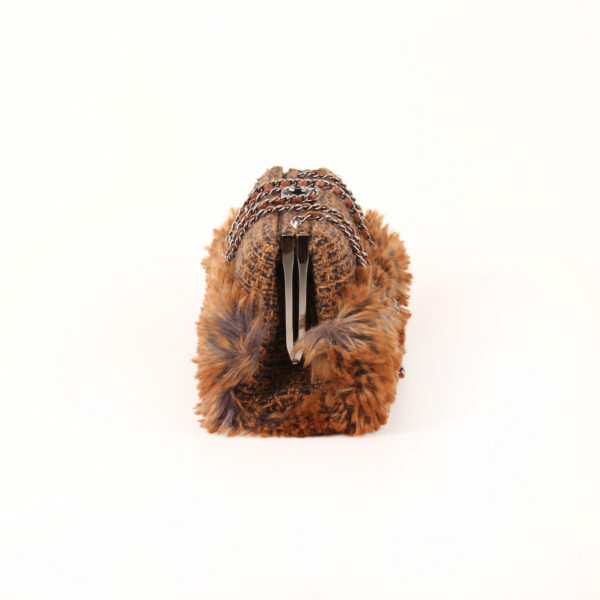 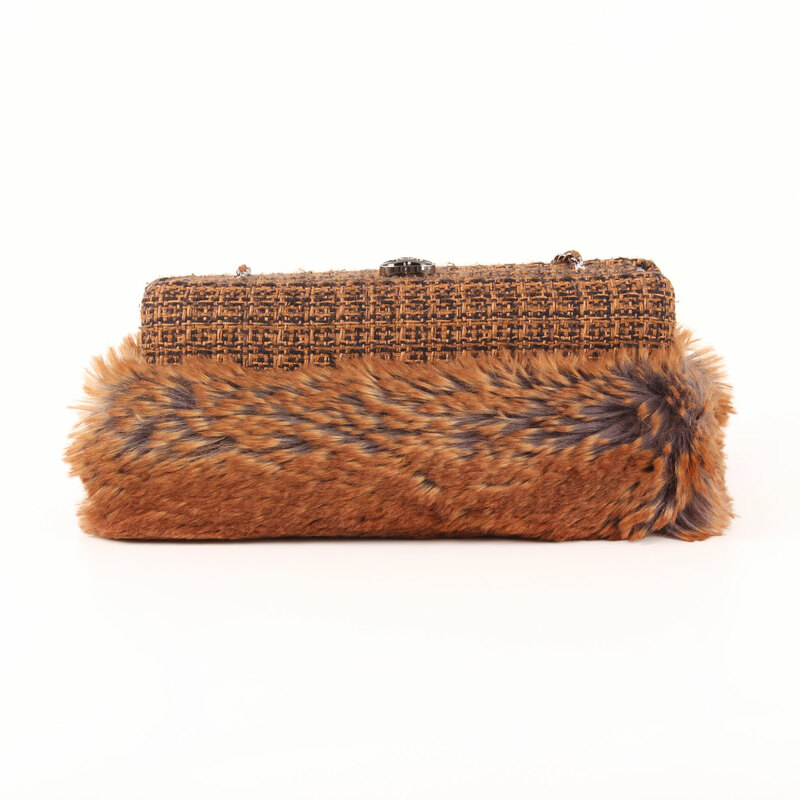 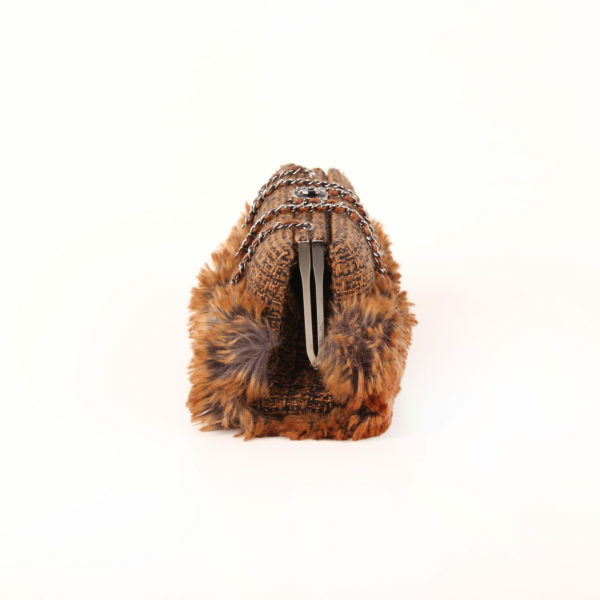 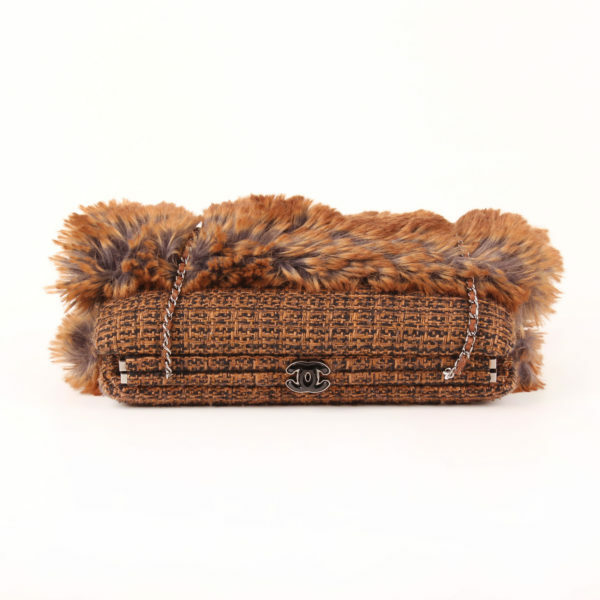 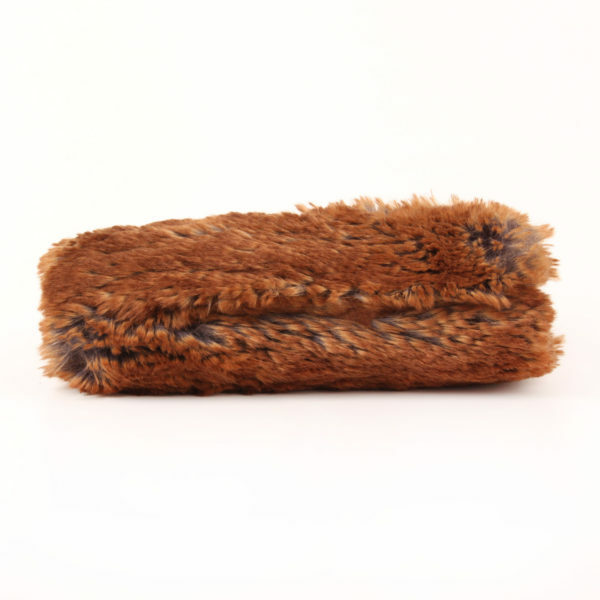 It’s a bag purse with clutch style clasp made in tweed and black and tanned brown rabbit fur. 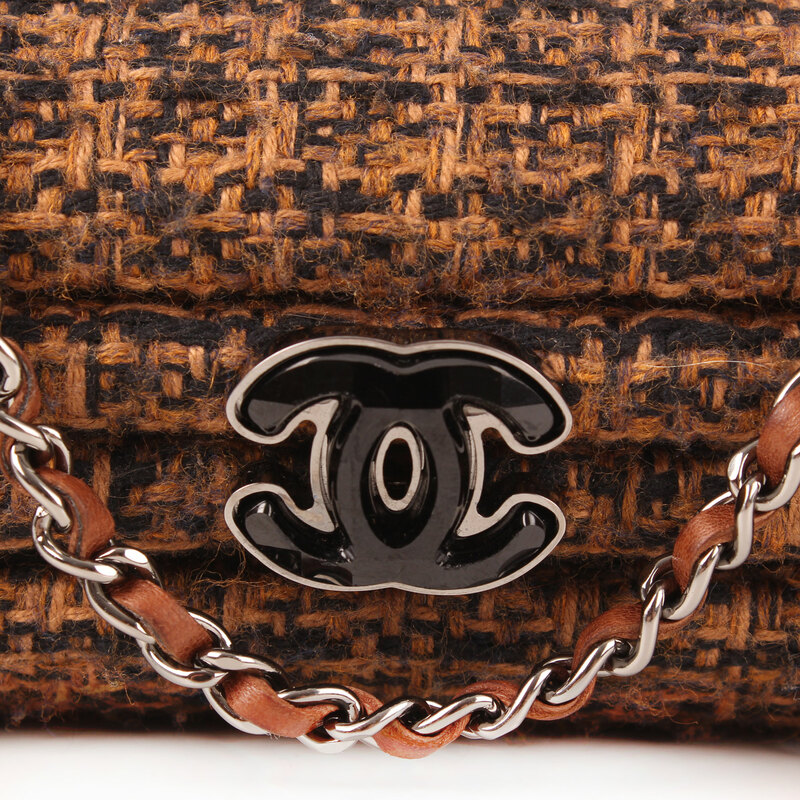 It features silver hardware, CC clasp with gemstones, and a long intertwined chain in brown leather and metal. 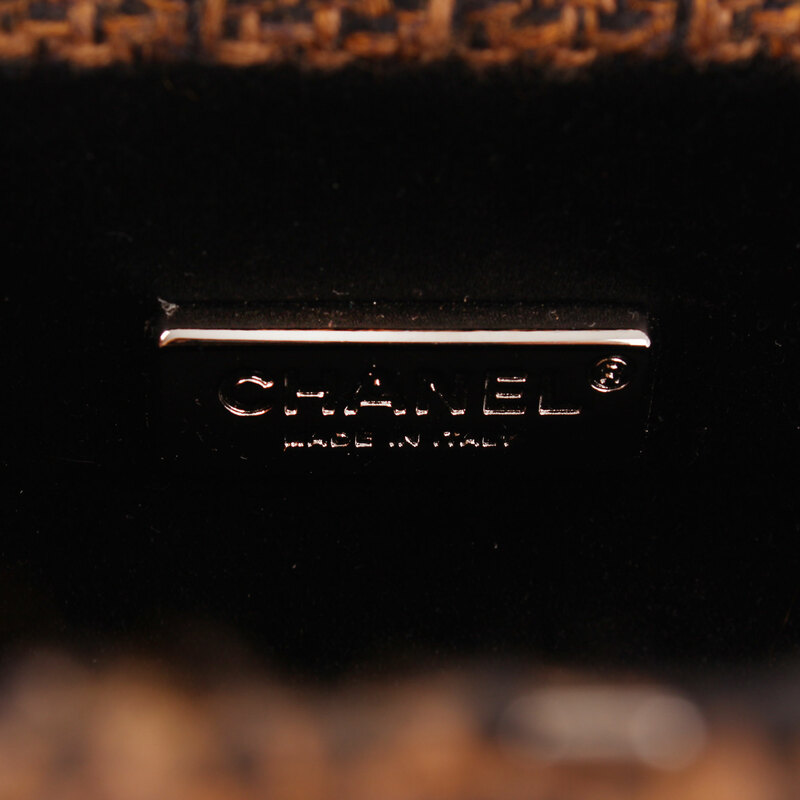 The bag is to be carried as a messenger bag. 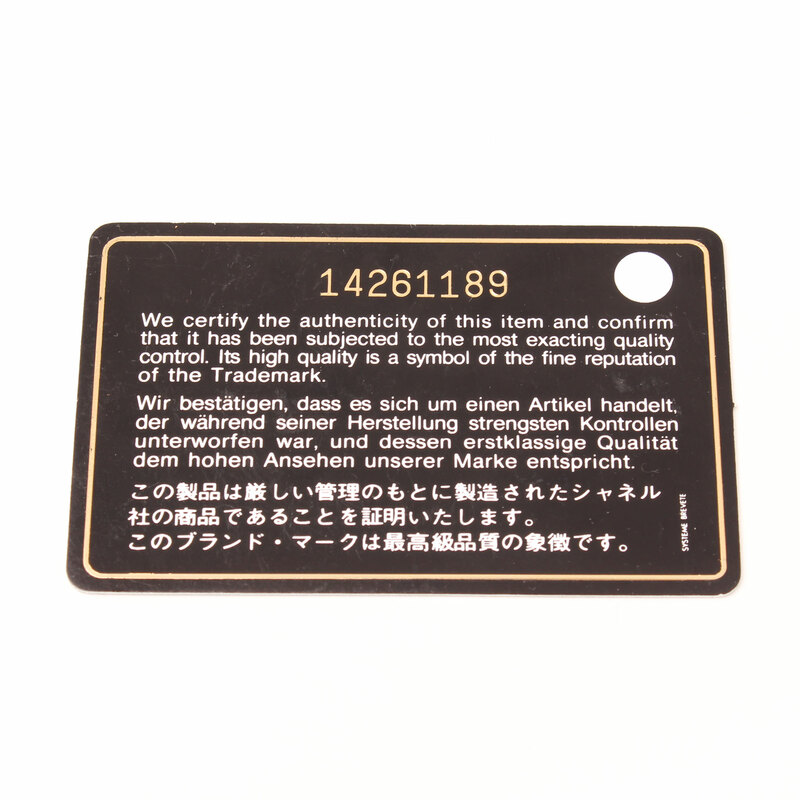 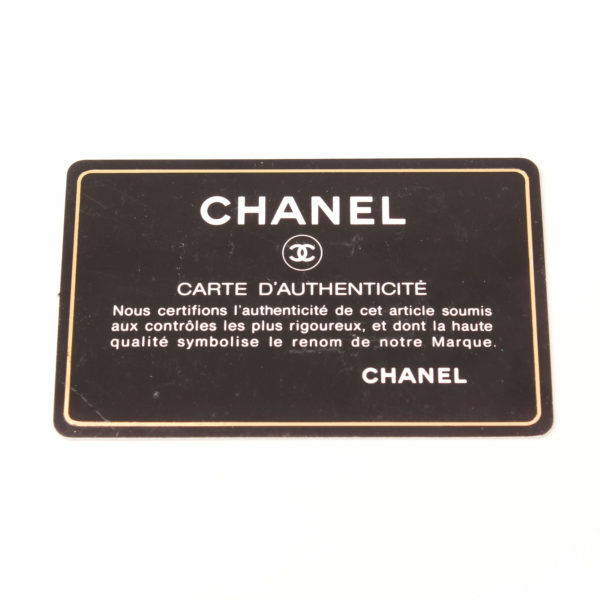 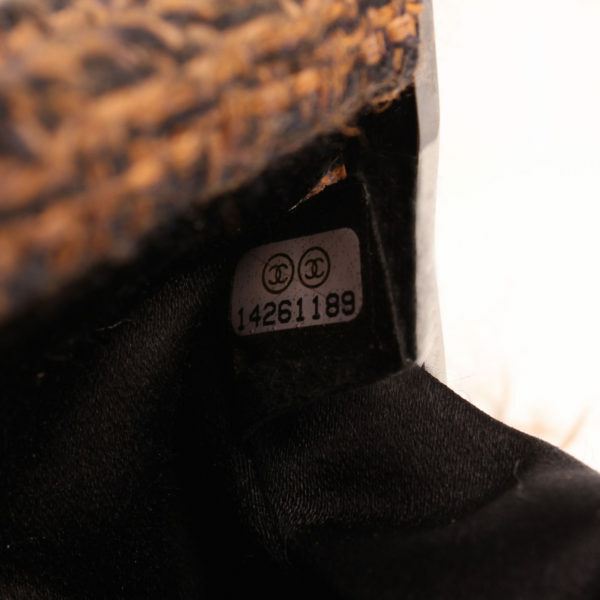 Includes dustbag and authenticity card.